“You’re going to like the way you look. I guarantee it.” Those words were made famous by George Zimmer, founder and former CEO of Men’s Wearhouse. If you have ever seen an older Men’s Wearhouse commercial on television, which I’m sure most if not all of us have, then you are very familiar with those words. George Zimmer is a national icon, and a very successful business person. But what some people don’t know is that he is also a passionate cannabis advocate and consumer. George Zimmer has donated to legalization efforts in California, and is on a very short list of current or former CEOs of major companies that support reform. He is living proof that a person can be a marijuana consumer and thrive at life. 50 years of being a cannabis consumer, and founded one of the most successful companies in America (and now new ventures!). That’s a person that marijuana entrepreneurs should learn from. 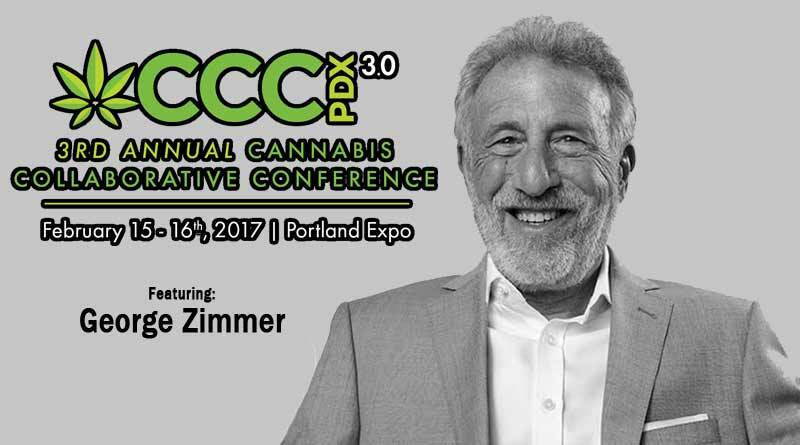 Fortunately, entrepreneurs will get their chance when the George Zimmer gives the keynote presentation at the upcoming Cannabis Collaborative Conference next month in Portland, Oregon. George Zimmer no doubt has some wise words for a young, growing industry. I’d imagine he also has some great stories, and some inspiring words for fighting prohibition. George Zimmer has been quoted as referring to cannabis prohibition as the ‘biggest con that has been perpetrated on this country in the last century.’ Below is a brief bio about George Zimmer. If you are in the Portland area February 15-16, I highly encourage you to check out the Cannabis Collaborative Conference which is packed with great speakers, and for a very affordable price. George Zimmer is Chairman, CEO and Founder of Generation Tux, an online rental platform for tuxedos and suits. He is also the founder and former CEO and Chairman of the Men’s Wearhouse – the largest retailer of men’s tailored suit and dress casual clothing in the U.S. and Canada. A lifelong advocate of servant leadership as the most effective business management model, he is also an advocate for “conscious capitalism” to address income inequality and excessive CEO pay. He is the father of four children and self-described in his LinkedIn profile as a ”Business Warrior Monk who roots for the underdog.” George serves on the Board of Directors for the Institute of Noetic Sciences, and the Oakland Zoo.